Nestled in the warm embrace of Sredna Gora (translated Middle Forest), just south of the majestic Balkan range and right in the middle of the sun-kissed Thracian Valley, Starosel offers a unique and “not-to-be-missed” opportunity to experience the best of the Bulgarian countryside. 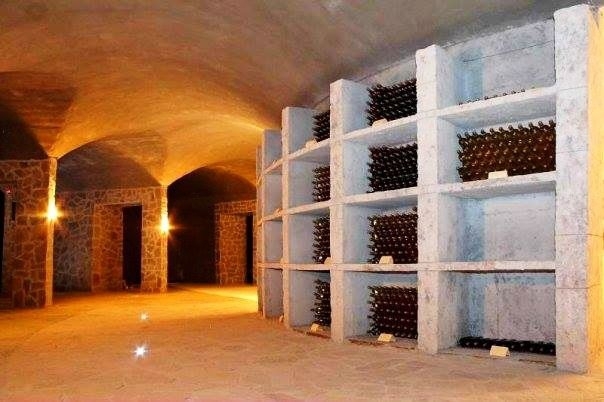 Endowed by history and nature alike, Starosel meaning “old village” in Bulgarian, holds the keys to Thracian temples, royal tombs and cult centers, along with those cool and cozy wine cellars. To all explorers and wine lovers out there, consider this your formal invitation to a wonderful adventure back to Thracian times. Get ready to get your senses awoken and be immersed in the life-loving spirit of the Thracians, perfectly preserved in the taste of the local wine from antiquity to present day. 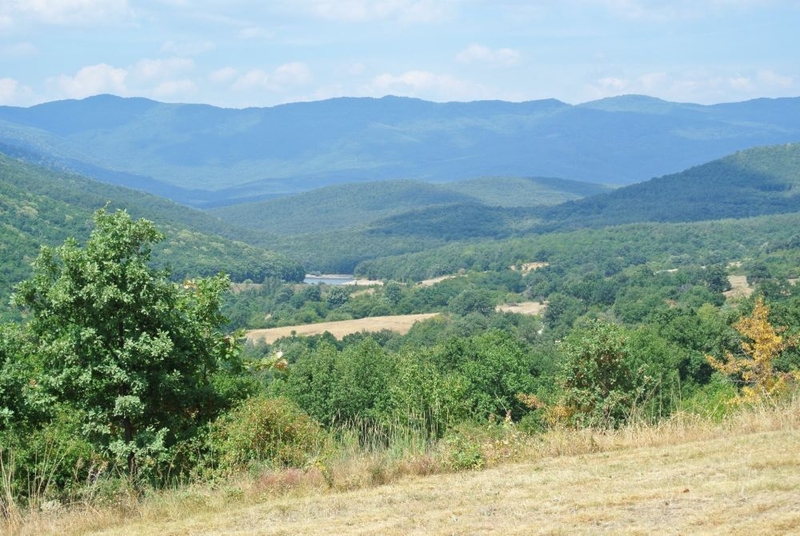 Sprawling vineyards and rolling hills line the winding road as you make your way up to the crown jewel of Bulgarian archeology, the 2,500 year old Thracian Cult Complex of Starosel. Referred to by many as the Bulgarian “Machu Picchu”, this Royal Thracian religious complex consists of six temples, four of which are unique in their nature. Unearthed in the year 2000, it dates back to the end of the 5th and the beginning of the 4th century B.C. and is among the 100 national tourist destinations of Bulgaria. It certainly is not a place you would want to miss. As you pass the entrance and start to climb the steep and massive stone block staircase leading up to the main chamber, you begin to feel the mystifying presence and unrivaled power of the Thracians. A tribal people with an exceptional affinity for the beautiful, their craftsmanship and impeccable precision are easily spotted in the intricate stone details etched throughout the symmetrical shape of the chamber. Standing on the main landing, you are free to place your hand on any object you would so desire, coming into direct contact with history that is over two and a half millennia old. It is at that point that you realize how extremely rare this opportunity to intimately experience an ancient civilization really is. 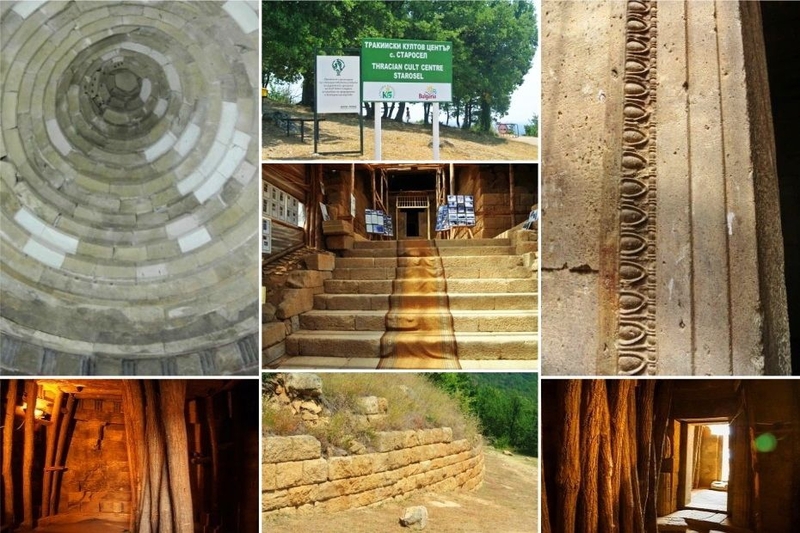 Some locals believe that this particular temple became the final resting place of the great Thracian ruler Sitalk, however archeological evidence confirming these claims has not been found so far. Still, the size and might of the complex suggest that it was without a doubt a royal one and served a significant importance in the Thracian cultural and spiritual life. Religious ceremonies associated with the cult of the Great Mother-Goddess (Mother Nature), her son the Sun and Orpheus, are known to have been performed and are believed to have been the primary function of the temple. 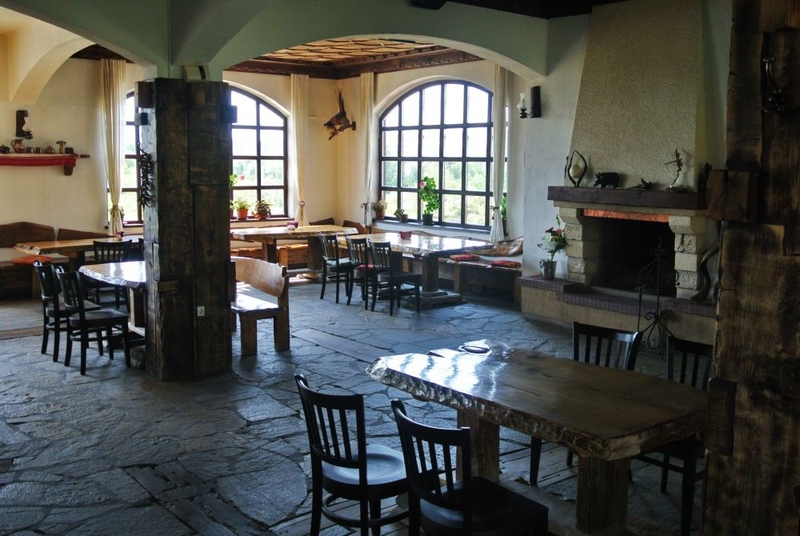 When you have satisfied your hunger for history, head down the winding road leading back to the village and in just a few short miles you will come upon Winery Complex Starosel where Thracian wines and region-inspired dishes await you for lunch. 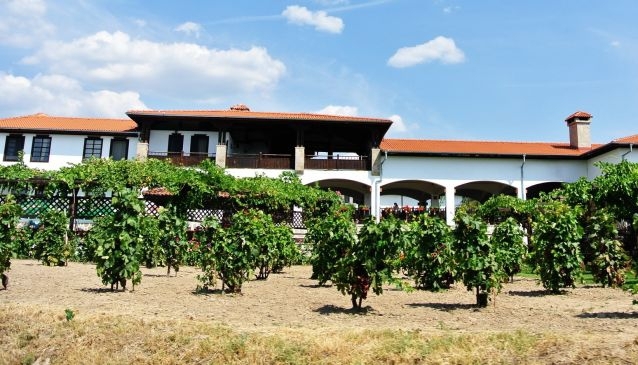 Built in the Bulgarian renaissance architectural style, the winery offers excellent lodging accommodations, wine tastings, local tours, and an array of spa treatments. Inspired by both the Thracian fascination with wine and the temple up the road, the complex boasts its very own wine-tasting rotunda named “The Temple of the Wine” where guests can see story-telling dance performances while tasting local wines. “For the Thracians, the wine was a live beverage, a carrier of the magic created by the sun and the fruitful soil of the mother earth,” explains Zlatko Soianov from the entertainment department of the complex. Depending on the season you choose to travel to Starosel, you may stumble on a number of different Thracian traditions that the winery keeps alive and recreates for its guests. One such is grape-picking, which takes place in the beginning of September and includes barefoot stomping of the grapes, a ritual performed by an unmarried, young lady. Starosel is the perfect destination for an exciting day-trip or relaxing and rejuvenating weekend-getaway. Just a two hours car ride from Sofia, forty-five minutes from Plovdiv and no more than half an hour from Karlovo, it is a must-see on your itinerary. Leave the hustle and bustle of the big cities behind and experience the spirit of the Thracians by rediscovering their temples and savoring the wine of the famous Thracian valley.